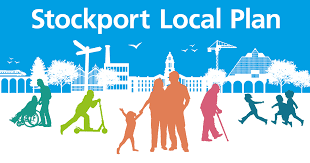 Stockport MBC are proposing to increase parking charges throughout the borough as a way of incresing revenue. The report went out to consultation at the beginning of November 2017 and the consultation closed on the 30th November 2017. The report will be discussed by the Council cabinet on the 19th December 2017. Once again the society is taking part in the St Martin's Church Christmas tree festival. As in previous years member Kathryn Procter has installed and decorated the tree. Many thanks to Kathryn for doing a splendid job and to Arthur Procter for the photos. If you have time, try to pop in to St Martin's church on Brabyn's Brow to see the Festival and enjoy the many trees on display from the Marple community. All MAC meetings are now webcast over the internet. This means that meetings can be viewed as they happen. Following transmission webcasts are archived on the council's website for 6 months for later viewing. Follow the link below to view live webcasts and click on "Library" to view archived webcasts. The society's annual social evening took place on Thursday 12th October 2017. Our speaker, Norman Redhead, gave a very interesting presentation on work carried out at Marple Lime Kilns as part of the "Revealing Oldknow's Legacy" project. Norman, who is Heritage Management Director at the University of Salford, described some of the intersting finds at the Lime Kilns and surrounding area during the project. The site is of major archaeological interest and further work is envisaged on completion of the "Oldknow" project early next year. Norman drew our attention to two forthcoming events that may interest members. 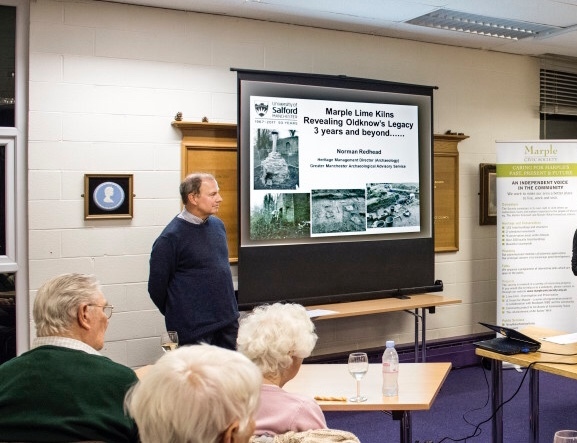 The "Oldknow's Legacy" project team are hoping to form a "Friends" group for the Lime Kilns. An event has been organised on 28th october 2017 at the Lime Kilns, see below for details. Marple Lime Kilns Needs YOU! We are forming a friends group. Get involved from the beginning. Representatives of the Revealing Oldknow’s Legacy Project and Stockport Council’s Greenspace Team will also be there to outline available support. Everyone welcome: Anyone with an interest in social & industrial heritage, ecology, green spaces & parklands and the enthusiasm of being part of a new group. Not sure what you can bring to the session. Bring yourself and we will help you work it out. No age restrictions: A crafty table will be available to keep children entertained. Halloween Lantern bags for all to enjoy. Finally, Greater Manchester Archaeological day will take place on 25th November 2017 at University of Salford, see HERE for details. As the 3 year Heritage Lottery Funded Project comes to a close, what have we learnt about the Lime Kilns? What does the future hold for this important scheduled monument that tells us so much about Marple's past? Come along to find out how the research and archaeological investigations of the 3 year project have enhanced our knowledge and understanding of Marple's history and heritage. Most importantly, learn how the 'management plan' will take the project forward and protect the monument for future generations. join us at 7.15pm for a glass of wine and nibbles - we look forward to seeing you. The closing date for responses is 8th October 2017, so there is still time to send individual responses. Please feel free to use the Civic Society response to inform your response if you wish. Land-use planning and transport planning are fundamentally linked but the papers do not explain how these two issues can or will be progressed together. We think they should have been presented as one paper, not as separate consultations. This is essential if we want to plan successful, balanced communities in Stockport and to create inclusive places with a good quality of life. The SEMMMS paper does not acknowledge that from 2001-17 the only substantive SEMMMS delivery has been road schemes (new roads, plus some limited bus priority improvements); there has been almost no delivery of alternative schemes. More important than a wish-list of schemes is the creation of a clear delivery mechanism for all modes of transport, particularly public transport and cycling, not just the new road element. A much more thorough approach to the District Centres as shopping and service centres should be taken and their ‘health’ examined more carefully. Attention should be paid to the quality of public realm and the need to ensure traffic does not dominate communities. The role of Neighbourhood Plans is ignored – these are a part of the statutory planning system and several plans are in active preparation. There is not enough concern with housing quality, and no real discussion about density. Target numbers appear to dominate thinking. High density is fully compatible with high quality – there is ample evidence that ‘compact city’ development in northern Europe creates better housing and better environments than we do in Stockport. Feel free to use the Society's response to help you write your own response. It will add weight if you say it in your own words but the important thing is to respond - be sure to state that your response is to both applications: planning application DC/067000 and Listed Building consent DC/067001 and copy your response to our local councillors if possible. The planning application will come to Marple Area Committee to be judged by our local councillors. Responses will be received and considered by SMBC planning officer until a decision is made. 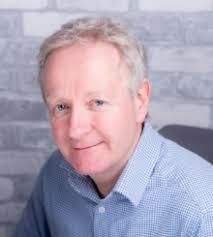 Phil Jones, of Phil Jones Associates, will speak about town centre regeneration at the Neighbourhood Forum AGM this Saturday 30th September. Phil will present the Urban Design Study he carried out for Marple Civic Society (funded largely by Marple Vision Partnership) to demonstrate how a holistic approach and sensitively designed streets can help to achieve a better town centre for Marple, making it more attractive and easier to move around, especially on foot. The meeting will take place at the United Reformed Church, Hibbert Lane between 10am and 12-00 noon. This is a public meeting, free of charge and everyone is welcome - we hope to see you there. c and Street Design Report and alternative solutions for Marple. The society's September 2017 Newsletter is now available. 1. 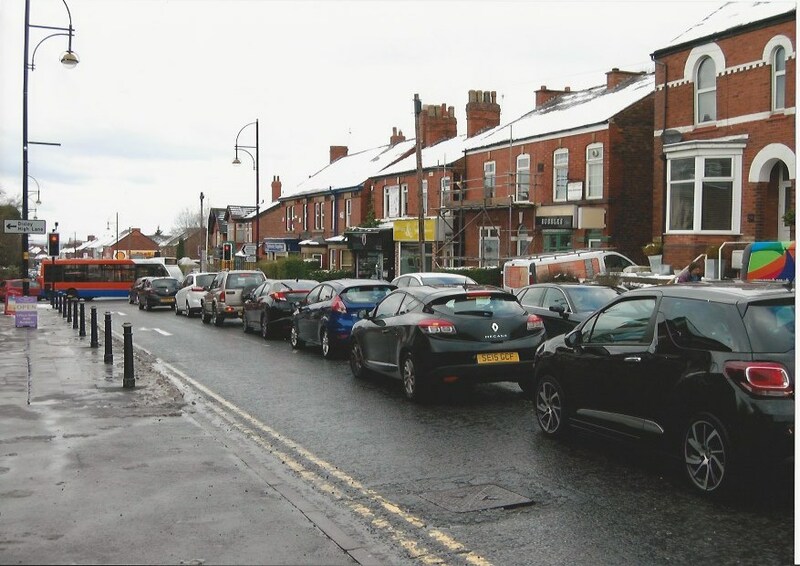 Town Centre Regeneration - new traffic and street design for Marple Town Centre! At last the planning application for developing Marple Wharf has arrived. 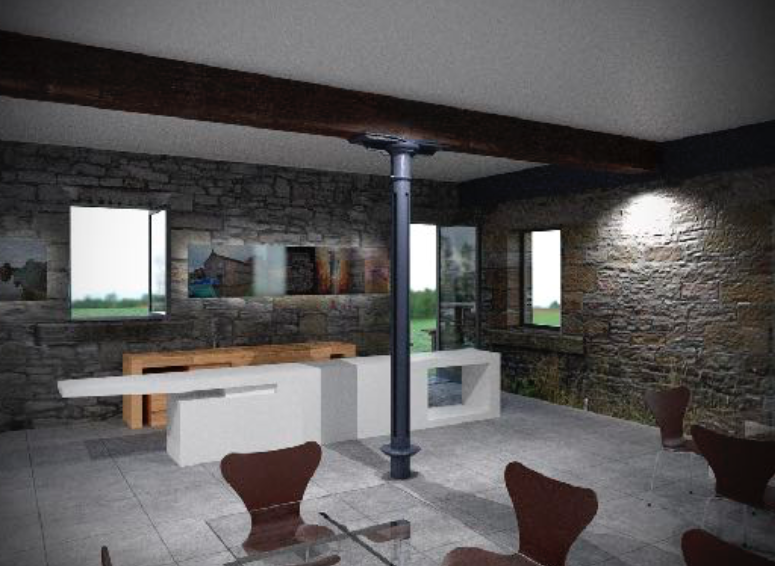 The developer, H20 Urban, has submitted an application on behalf of the Canal & River Trust (CRT), the charity which took over from British Waterways to maintain, preserve and promote the nations canal network and its heritage. house no. 1 must park at house no 3, house no 2 at house no. 4 and so on. A new look for Marple Wharf Warehouse?? 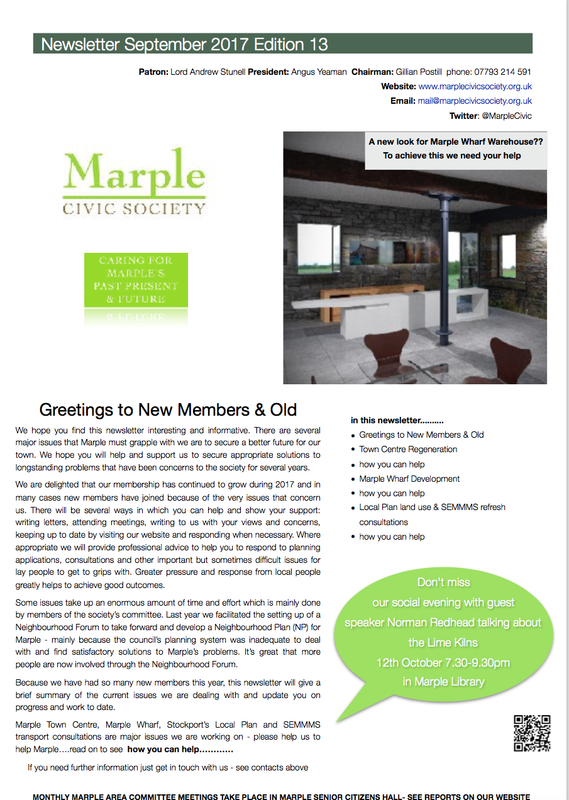 Marple Civic Society set up a working-party group this year with the Local History Society, including 3 councillors, to continue working with CRT/H20urban and Stockport Council to find a community use for the warehouse. But negotiations were necessarily paused once H20 Urban announced that contracts were signed and an application for residential use due for submission. Our problem is that H20 Urban's valuation of the warehouse is based on a commercial residential-use for the building in its present state. The value of the building will plummet if planning permission for residential use is refused. We have a well worked up viable business plan for community use in the warehouse and have agreed to present this to CRT once the planning application has been decided. The purchase price can only be settled once the planning application has been decided. 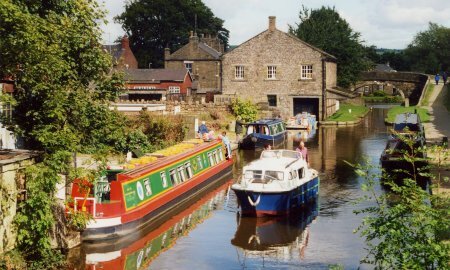 We know people feel passionately about this important heritage site because we received 100 emails and letters from the public when British Waterways (now CRT) announced their plans for development in 2009. No doubt the council and BW received many more. A planning application reference DC/067000 and listed building consent application DC/067001 have been submitted to Stockport MBC for the redevelopment of Canal and River Trust Yard, Church Street, Marple, SK6 6BN (Marple Wharf). 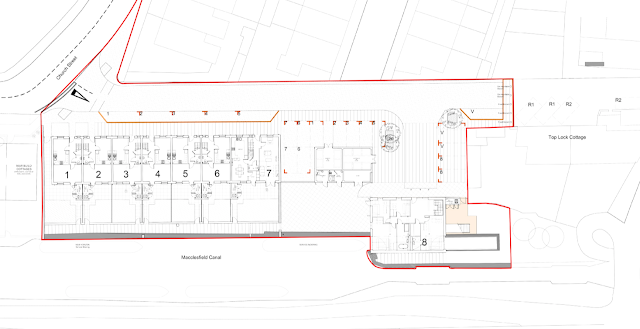 The application includes the conversion of the former warehouse to one residential house plus the erection of 7 new houses on the site. The developer is H2O Urban LLP No2, a partnership that the Canal & River Trust (CRT) have chosen to develop the site. The full application can be viewed HERE. The closing date for responses to the planning application is 28th September 2017. The Civic Society will respond to the application which will be displayed on our website. The council is seeking views on a proposal to change the name of Marple South Ward to Marple South and High Lane Ward. Marple has two wards each represented by three councillors. The link to the council's on-line consultation can be found HERE alternatively residents can respond at a ballot box in Marple Library. Following the refusal of planning permission for developments at the Garden House (applications reference DC/057081(retrospective) and DC/059185) an open meeting was held by supporters of the applicant on Friday 7th July 2017. The Civic Society sent a statement to the organisers to feed into the meeting discussion. See HERE for our statement. We apologise for any inconvenience that may cause. The meeting was webcast over the internet as will future MAC meetings. This means that future meetings can be viewed live as they happen. Following transmission webcasts are archived in the council's webcast library for viewing at a later date. Follow the link below to view live webcasts and click on "library" to viewe archived webcasts. The Society's planning team has sent a response to SMBC Planning Department to recommend refusal of planning application DC/062507, construction of new dwelling at 67 Hibbert Lane. The Society's planning team has sent a response to SMBC Planning Department to recommend refusal of Planning application DC065727 for a new bungalow in the rear garden of 65 Longhurst Lane Mellor. The society's next speaker meeting will take place from 4-00pm - 5-00pm next Tuesday 23rd May 2017 in Marple Library - there is a lift available. Please join us at 3-40pm for refreshments. Our speaker theme for this year is young people involved in the community. Following on from our last speaker, Ben Murray of Civic Voice, we have Cllr. 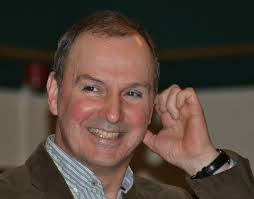 Tom Dowse who will speak about how and why he became involved in local politics. 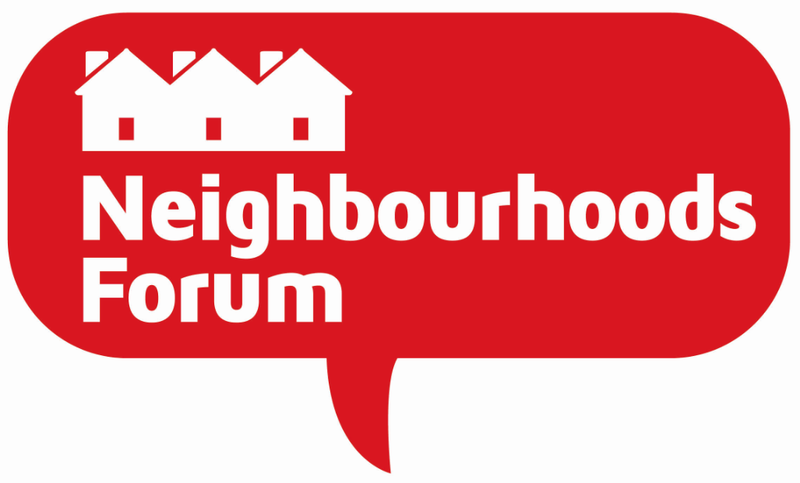 Marple Neighbourhood Forum April 2017 News can be viewed HERE. Saturday 6th May from 11 a.m. to 2 p.m - Temporary stall in Market Street to meet people face to face and discuss their views. Saturday 20th May at 10.00am - Open meeting at the United Reformed Church on Hibbert Lane. Everyone welcome. The first Thursday of every month, starting at 5.00pm - Management Committee Meetings where questions can be put to the Forum members. The society's 55th AGM took place on Tuesday 28th March 2017 in Marple Library. Chairman Gillian Postill reported a busy year for the society and referred attendees to the Trustee's report for a summary of the society's activity throughout the year. Her report focused on two key issues: Marple Wharf and the Town Centre. A planning application is imminent for the former and there are problems with the latter of lack of information and engagement by the council regarding the town centre, despite having a Neighbourhood Plan Forum in place. She concluded her report by thanking committee members and non committee members for all their hard work over the last twelve months in keeping the show on the road and achieving so much with so little! Treasurer, Gordon Johnson, made the accounts available at the meeting. He explained that the civic society had banked for the Neighbourhood Plan Forum until they had set up as a constituted body and were in a position to open an account for themselves. The 'Reserved' column showed a number of items received on behalf of the Neighbourhood Forum during this period and then the transfer of monies to the Neighbourhood Forum and a refund of unused Locality grant. Accounts show £2,500 available for the year ahead. The treasurer thanked Mr Chourbaji for examining and agreeing the accounts this year and for agreeing to continue this role for the next year. The election of officers and committee members was followed by an excellent presentation by Ben Murray, from Civic Voice. Save Manchester's Greenbelt is holding a rally next Saturday 1st April in Albert Square Manchester to protest at plans by the Greater Manchester Combined Authority (GMCA) to build thousands of houses on Greenbelt across Greater Manchester. Save Manchester's Greenbelt is an umbrella association representing of the "Save the Greenbelt" groups across Greater Manchester. The organisation supports affordable housing on Brownfield sites and seeks to protect all Greenbelt for future generations. The second consultation on a revised plan will begin in August. Councillors and officers need to know that only very significant changes to the proposal will be acceptable. 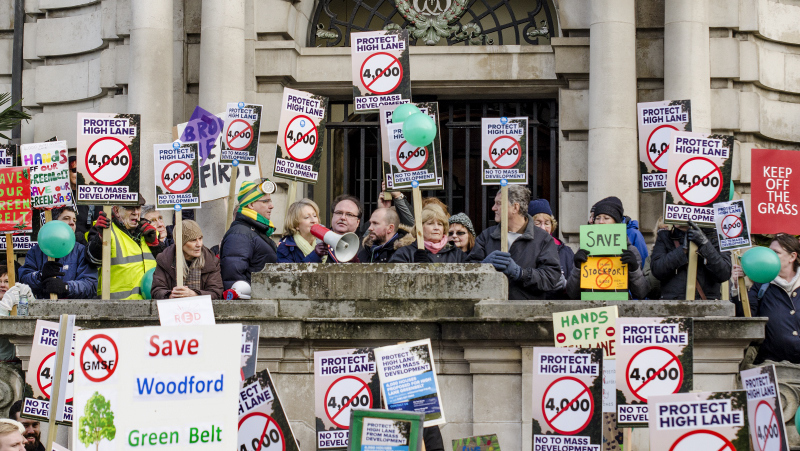 The rally on Saturday will be supported by residents from all ten boroughs comprising the GMCA. It will be supported by the Council for the Protection of Rural England who will provide a speaker on the day. The rally will take place at 1-00pm in Albert Square outside the Manchester Town Hall. If you care about your Greenbelt spare a couple of hours of your time to show how much you care. We hope you will join us for the society's 55th AGM and speaker meeting on Tuesday 28th March 2017 in Marple Library. Light refreshment will be served from 2.40pm prior to the Business Meeting starting at 3.00pm. Business will be followed by a talk from Ben Murray, Communications, Events and Marketing Manager at Civic Voice, the national charity for the civic movement in England . In the two years since Ben started with Civic Voice he has made tremendous headway in organising parliamentary events and building solid, positive relationships with Members of Parliament. 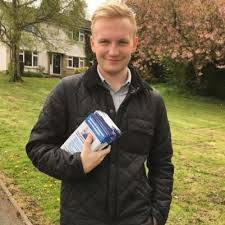 We'll be finding out more about Ben's role, why he joined Civic Voice and what motivated him to work for the civic movement at the young age of 23. We hope to set up a young people's section of the civic society and are looking to Ben for advice and inspiration on how we might do that. We hope to see you at the meeting - family, friends and neighbours are welcome too (but only members can vote for the election and re election of officers and committee members). The meeting was the first Marple Area Committee meeting to be webcast. The webcast is indexed in line with the agenda to facilitate viewing. It is anticipated that future Marple Area Committee meetings will be webcast. Following transmission webcasts are archived in the council's webcast library for viewing at a later date.